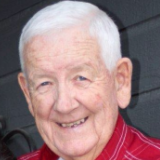 Elbert Pigg, 77, of Smithville, MO passed away, Sunday, November 18, 2018. He was born on April 14, 1941 to Russell William and Mary Elizabeth (Parkhill) Pigg in Rolla, MO. Elbert grew up in Smithville and graduated from Smithville High School. On September 2, 1981 he was united in marriage to Nancy Brownlee Mosby. After their marriage they lived in Smithville where they made their home. Elbert owned and operated Pigg Trash Service from 1966 to 2001. He then sold his trash service to Deffenbaugh, where he continued working until 2009. In 2010 Elbert began working for Coulter Bus Service as a school bus driver. He was a member of the First Baptist Church in Smithville. Elbert was a volunteer for the Smithville Fire Department where he served as 1st assistant for 5 years and Fire Chief for 3 years. Elbert is survived by his wife, Nancy, of the home; children, Judy Roberts and husband Jim, Terry Mosby and wife Dawnia, Trevor Mosby, Tara Odneal and husband Jimmy; ten grandchildren, Amber (Ben), Shannon (Phil), Taryn (Cory), Trace, Ty, Delaney, Megan, Deyton, MaKenna, and Drake; one great-granddaughter, Lucy, on the way; sister, Dorothy Huntley and husband Lee; brother, Robert Pigg and wife Helen; brother-in-law Jeff Brownlee; several nieces and nephews, other relatives and many friends. Funeral Service: 11:30 a.m. Tuesday, November 27th at First Baptist Church, Smithville with visitation from 10:00-11:30 a.m. prior to the service. Burial: Smithville Memorial Cemetery.Arrangements, Hixson-Klein Funeral Home, Smithville.In lieu of flowers, donations may be made to the Leukemia and Lymphoma Foundation.